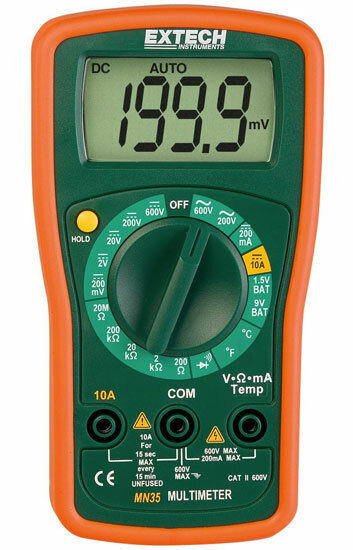 20% Off Select Extech Multimeters & Testers! ToolGuyd > DealGuyd > 20% Off Select Extech Multimeters & Testers! Over at Amazon, there’s a new 20% off Extech tool promo. Buy an eligible Extech multimeter, measurement tool, or diagnostic tool from Amazon, and get an extra 20% off at checkout. Extech is a pretty good brand when it comes to test & measurement gear. I own a couple of Extech multimeters, power supplies, and an inspection camera/borescope, and they’ve served me well. The promo ends September 30th, 2014, which gives you plenty of time to plan your purchases and shop around. Eligible Extech tools includes multimeters, test leads, various types of meters, thermometers, inspection cameras, and various other Extech accessories and devices. Eligible tools must be sold and shipped directly by Amazon in order for you to get the discount. 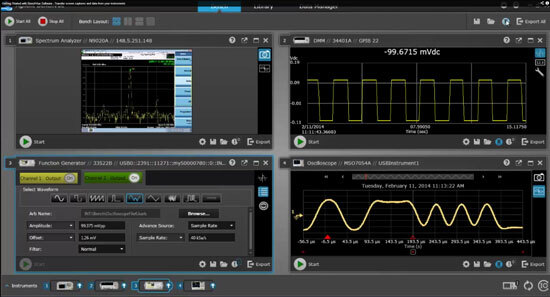 While I tend to buy more Fluke and Agilent testing gear these days, I tend to prefer Extech for speciality handheld tools, such as light and sound meters. For these types of tools that I might not use on a daily or even weekly basis, Extech tools offer decent features and quality while being a lot easier on the wallet. I routinely still use my Extech handheld multimeters as well, and have never regretted their purchases. Certain Extech tools are NOT included in the 20% off sales promo. Amazon is calling this an Extech DIY Event, which explains why some of the pricier and pro-oriented tools aren’t eligible for the special discount.